– the 2012 Tayshas High School reading list. 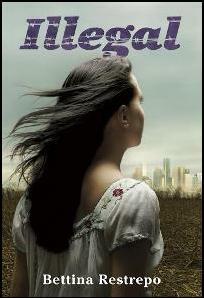 – YALSA’s Quick Picks for relunctant Readers list, 2011. – The Amelia Bloomer List for outstand feminist literature for young readers, 2011. The following are the generous reviews of my novel, Illegal. “With depth and detail…Never sentimental. The unsparing language keeps the tension mounting as well as the heartache… The teen’s first person narrative will grab readers with gritty details, honest anger and sorrow and the small acts of kindness that occur through the harrowing adventure.” Booklist – Starred Review. –Michael Cart, Author of Young Adult Literature: From Romance to Realism and editor of the Rush Hour and How Beautiful The Ordinary: Twelve Stories Of Identity. He is also the Chair of the Printz Award committee from the American Library Association.